يقع Woodbridge Hill Hideaway على بعد 5 دقائق فقط بالسيارة من غريت باي، ويوفر حوض سبا ومدفأة وشرفة خاصة تتمتع بإطلالات على الغابة الطبيعية. يوجد على 10 فدادين من الحدائق الجميلة، ويوفر مسبحًا داخليًا وحوض استحمام ساخن وخدمة الواي فاي مجانًا. يتوفر مطبخ صغير وتلفزيون بشاشة مسطحة ومُشغل دي في دي كمرافق أساسية في جميع البنغلات. توفر جميع البنغلات المدفئة أردية حمام ونعال وحوض استحمام مطل على الغابة المحيطة. يقع Woodbridge Hill Hideaway Bungalows على بعد 10 دقائق بالسيارة من ميناء بروني آيلند للعبارات و20 دقيقة بالسيارة من منطقة سنوغ تيرز الطبيعية للترفيه. يُمكن الوصول إلى مطار هوبارت الدولي في غضون ساعة واحدة بالسيارة. يُمكن للضيوف الاستمتاع بالوجبات في منطقة الشواء أو الاسترخاء في الحدائق. يوفر الفندق أيضًا خدمة غسيل الملابس للضيوف ومرافق تخزين الأمتعة. تتوفر أيضًا مواقف للسيارات مجانًا في الموقع. يُرجى إعلام Woodbridge Hill Hideaway مسبقًا، إذا كنتم تتوقعون الوصول في غير مواعيد عمل مكتب الاستقبال، وذلك باستخدام بيانات الاتصال الواردة في تأكيد الحجز. Woodbridge Hill Hideaway is the perfect weekend getaway when you want to switch off. The rooms are to a very high standard and the views breathtaking, especially as we arrived in full snowfall! Amazing. Despite being one of four cabins, you feel totally private and can't see or hear anyone from your deck or your room, just beautiful views and the peace of the bush. Generous breakfast provisions, including beautiful smoked bacon, coffee machine. 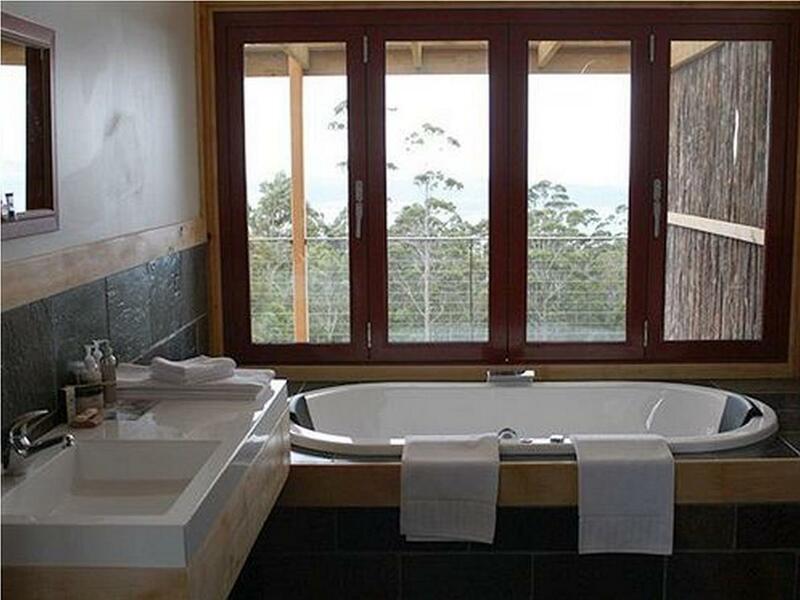 Spa bath overlooking the treetops and views from concertina windows beautiful. Lovely pool for private bookings. Louise and Clarence are lovely owners, nothing is too much trouble for them. 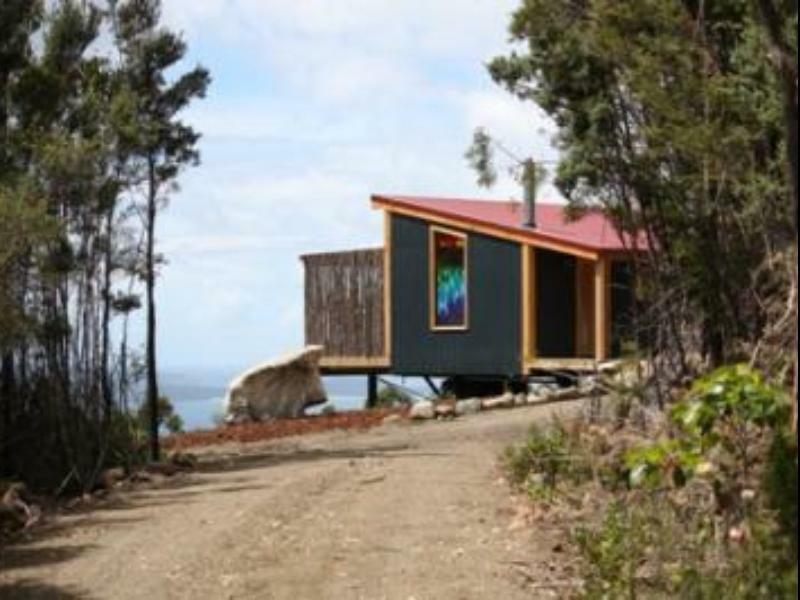 Do yourself a favour and book a few nights at least - convenient gateway also to vineyards etc in the Huon Valley and the Chanel (although it's hard to leave the cabins!). We stayed, just the two of us, in the Lodge, a 14-person accommodation. Our 'living room' was a party hall, and the kitchen was a commercial one. The views from the party hall were to die for. The bedroom was good, and shower/bath facilities were in top order. Unfortunately, Agoda seems to have a history of making double bookings with these people, and our romantic cabin was not available. That would have been more cozy than the enormous facility we now had, but we're not complaining as we had the best views of all. Having said that, views are nice but a cozy atmosphere would have been nicer. Still, double booking resulting in being sent away would have been far, far worse. And in the end we had a great time. The owners told us that this was only one incidence of a string double bookings by Agoda that they have had to deal with. Something needs to be fixed in the communication, it seems. Very beautiful and restful. Really lovely cabins - beautifully fitted out and very clean. We enjoyed a lovely overnight stay at the cottage and cannot recommend the uniqueness of the Hideaway enough. It really is a hideaway and each cottage is very private. The views are sensational!